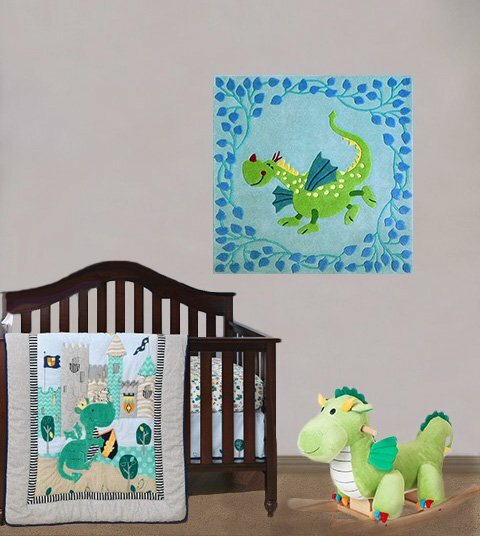 A dragon baby nursery theme is an opportunity for mom and dad to create a fantasy world filled with whimsy and enchantment where they can visit and explore kingdoms of long ago with their newborn. On this page we have some ideas for creating a magical medieval room where knights in shining armor and fire-breathing dragons still rule as they did in centuries of old. There are many directions that this style of decor might take including a space filled with Chinese dragons or a Disney princess themed nursery where damsels are offered protection in the towers of fairy castles. Here is a tip for parents dealing with a small nursery: If space is an issue, suspend the baby's mobile with flying dragon from the ceiling rather than mounting it on the crib. 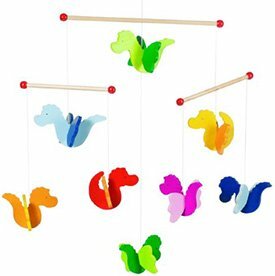 Go here to see the a wide variety of dragon baby mobiles as well as supplies to make your own. Another surprise was the broad variety of inexpensive dragon decorations available as well as the possibilities for some positively amazing color schemes. 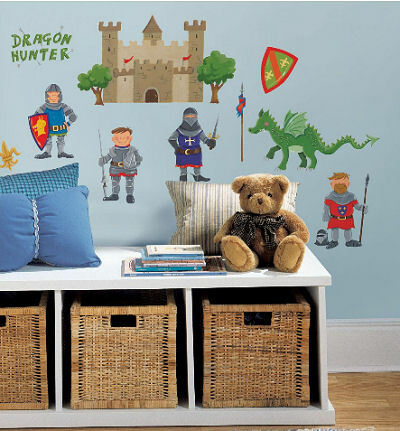 If your dragon crib bedding set has a fabric print loaded with flying dragon prints and pictures of Camelot but there's still some room in your dragon baby nursery theme for more, you might create a large wall mural using dragon decals and stickers. Most of us are familiar with the colorful Chinese dragons but have not considered how amazing their colorful features would be in a baby's room. Just take care to choose colors that will blend well with the fabric of your dragon baby bedding set. The first time I was contracted to decorate a medieval dragon nursery theme for a baby boy, I got ideas by scanning storybooks that were filled with page after page of pictures featuring knights fighting dragons and saving damsels in distress held hostage in castles. 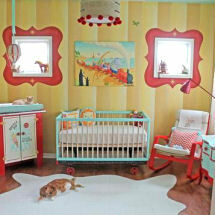 And a job that started out as just another baby's room to decorate began to actually be lots of fun! If even I can get caught up in this magical fantasy world; there's no wonder that dragon baby nursery themes are becoming so popular. 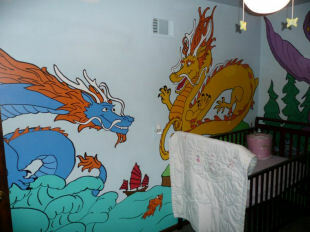 Go here to see more dragon nursery decorations included in our tips for decorating the walls and choosing a crib set. If medieval dragons aren't your taste, perhaps an elegant Chinese dragon themed nursery would be best. Imagine a baby crib painted in black lacquer with a painted gold dragon on the head or footboard and a set of red or gold silk baby bedding. Please visit us again soon to see the latest in unisex dragon nursery ideas here on Unique Baby Gear Ideas. Do you have a great set of dragon baby bedding, a picture of a nursery that you decorated with dragons or a dragon themed baby gift idea? Share it!